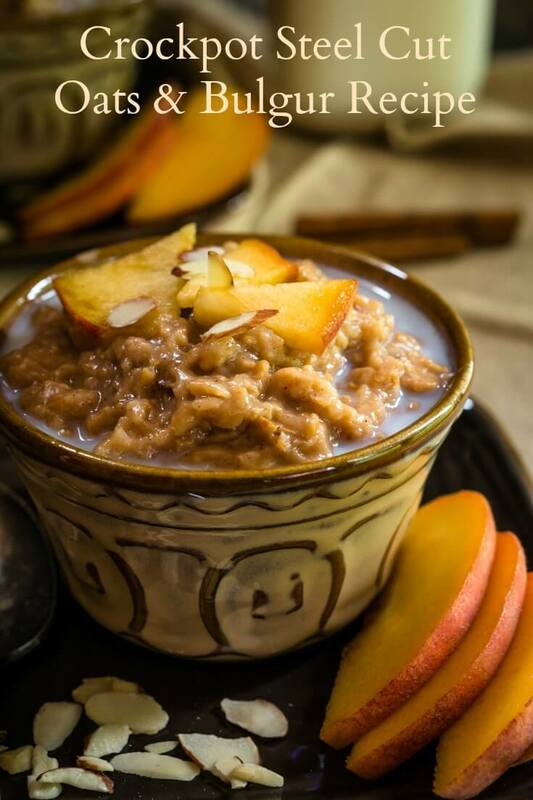 Crockpot Steel Cut Oats & Bulgur is like waking up to a warm cinnamon hug. It’s great as is or with fruit, nuts, and a drizzle of milk or cream. It makes several servings and freezes well. When the weather gets cooler, I replace my yogurt breakfasts with oatmeal. 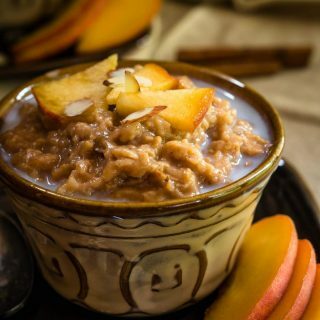 I love the stuff and have cooked it on the stove-top, baked it, and now here is a Crockpot Steel Cut Oats & Bulgur Recipe. When I was young(er), I would often stay overnight with my grandmother. We would snuggle and talk about what we would fix for breakfast. My wish was always the same, oatmeal! She used the old-fashioned rolled oats that I still love, but I really like the steel cut oats. They can take a little longer to cook unless you let them cook while you sleep! 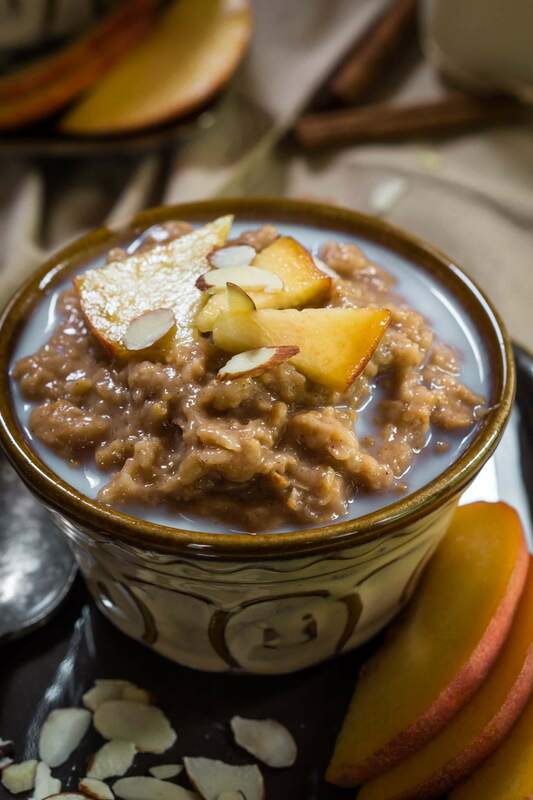 I recently saw a recipe using oats and quinoa in a hot porridge, and that got me thinking that my beloved steel cut oats would go deliciously with bulgur. I love bulgur because it has a natural sweetness with a hint of cinnamon. I flavored the steel cut oats & bulgur with cinnamon, vanilla, and honey and threw it all in the crockpot and let it cook while I snoozed. Waking up to the smell of warm cinnamon had my tummy growling in no time. It was so smooth and creamy, and it thickened up as it cooled. I topped it with peaches and sliced almonds and a drizzle of almond milk. You could add another drizzle of honey but I didn’t need it. 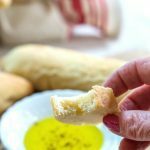 This is a perfectly easy and delicious way to start your day or to give the kiddos a good breakfast before they take off for school. If bulgur isn’t in your pantry, you can use all steel cut oats. Another thing that I recommend it to snuggle with those you love. It makes great memories for you and them. 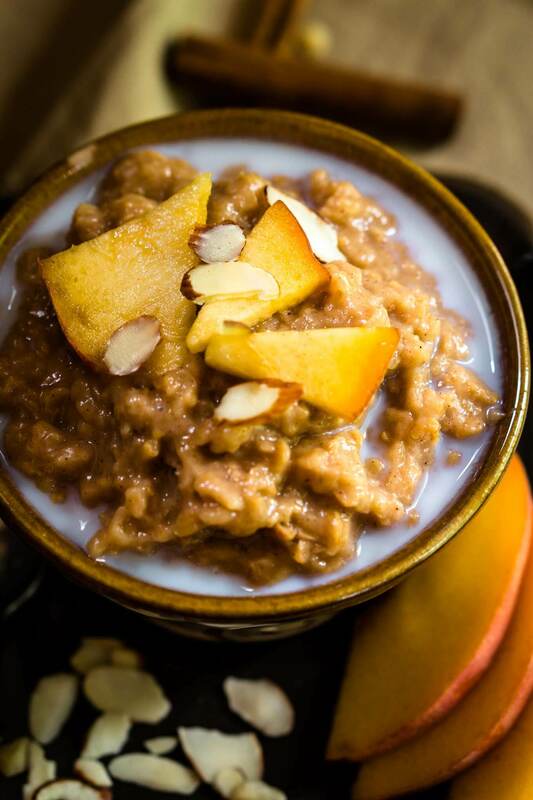 Crockpot Steel Cut Oats & Bulgur is like waking up to a warm cinnamon hug. It's great as is or with fruit, nuts, and a drizzle of milk or cream. It makes several servings and freezes well. Spray the bowl of a crockpot with nonstick cooking spray or use a crockpot liner. Combine all of the ingredients in a crockpot and cook on low for 8 to 10 hours. Turn off the heat and stir until smooth. Allow to cool uncovered 15 minutes stirring occasionally. It will thicken as it cools. Serve with desired toppings such as fresh or dried fruit, nuts, and milk or cream. Store in covered containers in the refrigerator or freezer. I store individual servings in the refrigerator and the freezer. 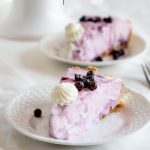 It heats up nicely in the microwave or on top of the stove with a bit of milk to thin it out. 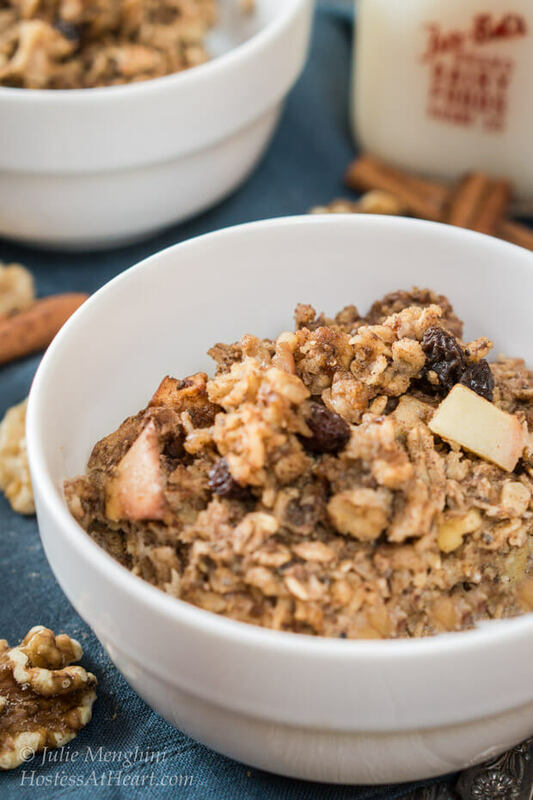 Here are a few more oat recipes that we love! Let’s keep in touch! You can find me on Pinterest, Instagram, Facebook, Twitter, and The Mix! Better yet, enter your email address in the box below and never miss a recipe! Mmmmm! Fall is sounding better all the time. I agree Patti! I went kicking and screaming into fall but now I guess my taste buds are ready. I have to admit it’s so much easier to get my good walk in being cool too. I’ve never gotten crock-pot oats to work. Gonna have to try again with your recipe! This one was so easy Debbie. Have you tried the steel cut? I don’t think I would want to try the old fashioned oats. You’ll want to spray the sides or use a liner though and it was sure bubbling when I got up and smelled so good! Thank you my friend! Waking up to the smell of cinnamon and vanilla sounds like a perfect way to start the day. 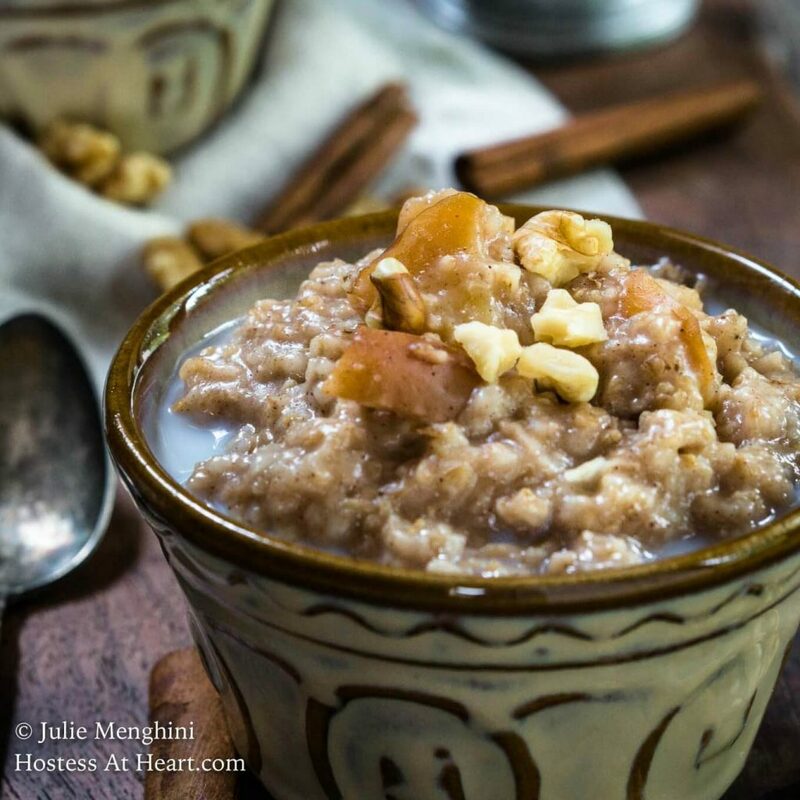 I’ve never tried making oatmeal in the crock pot, but I’m going to have to give it a go. This looks so comforting and delicious, Julie. Thanks for sharing at Fiesta Friday. Have a great weekend! Thank you, Natalie! Thank you so much for hosting us this weekend! 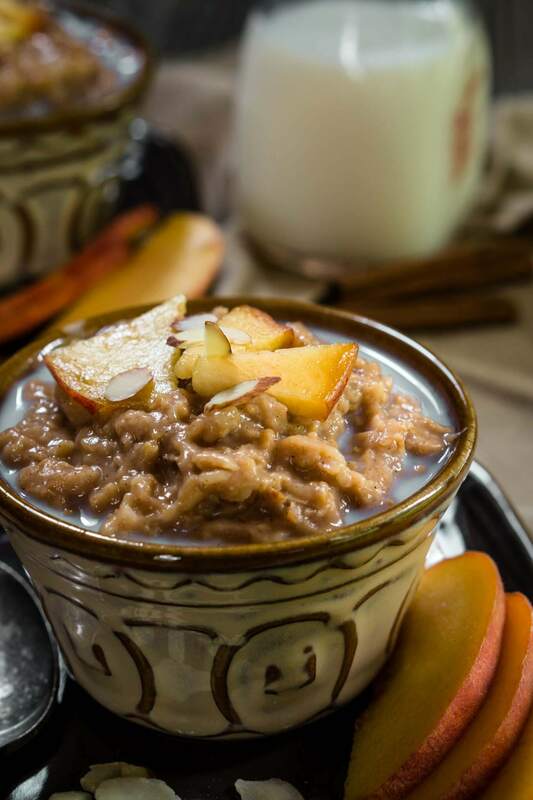 snuggling with grand mas and making plans is the best kind of plan for every little girl..
these oats and bulgar breakfast bowl is so comforting. Thank you Sonal! I can still remember our planning and hope every child has experiences like that! 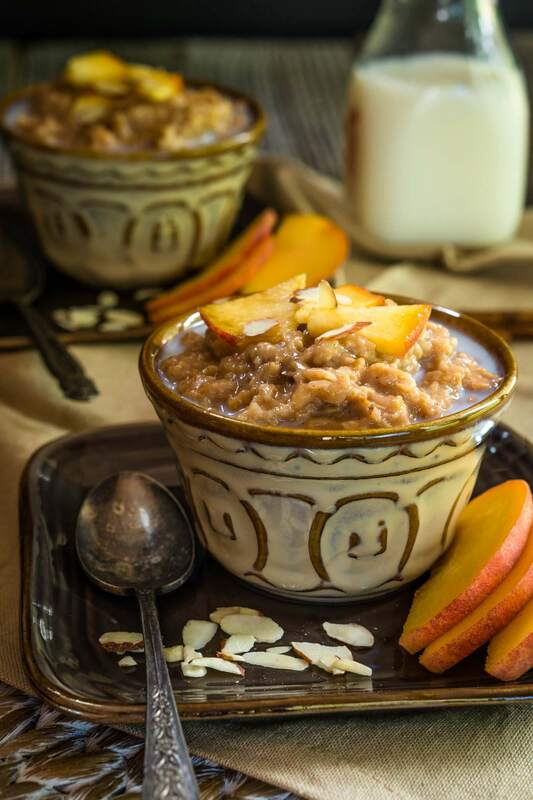 I like to eat oatmeal for breakfast in the cooler weather, too–never thought of making steel cut oats in a crockpot! Sounds great! Thank you Nancy! It will be repeated in my house! 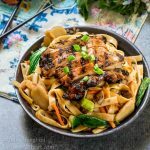 Thanks for your note: Just wondering: Would you be interested to be a Guest poster with us, and share some of your awesome recipes on our blog? Such a delicious start to the day. Love that you make this in a slow cooker. Thinking about cooler weather and warming comforting meals makes me happy. Thank you Suzanne. It made enough for two weeks and I’m still loving it and the cooler weather…finally! What a great idea cooking breakfast in the crockpot to enjoy over the next few days. 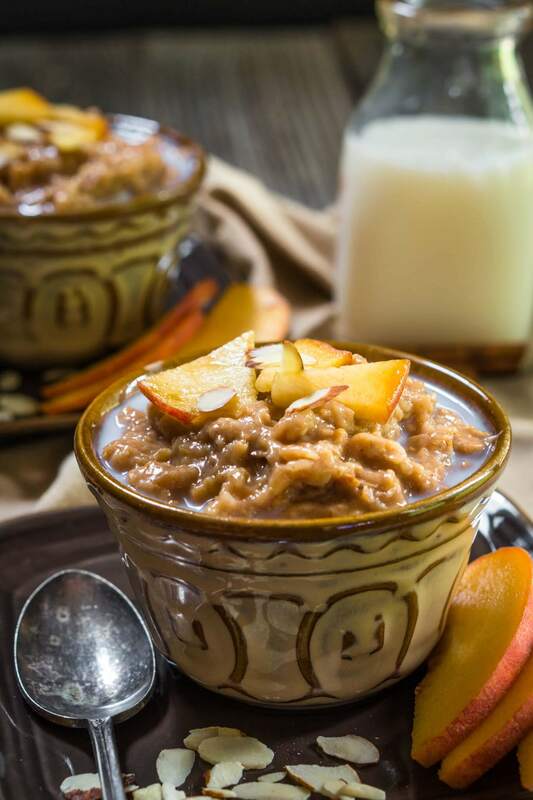 I’ve seen so many different variations on this overnight breakfast in a crockpot. We eat oatmeal every single day with nuts and raisins, I’d love to be able to cook this ahead of time with all those gorgeous warm spices. I’m sure your house aromas were lovely for days. 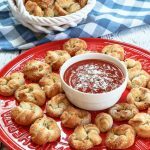 Thanks for bringing this along to Fiesta Friday, I know we will all enjoy this recipe. Have a wonderful weekend. It’s finally cooled down a tad here, with highs in the 80’s, but beautifully cooler nights. Thank you so much, Loretta! 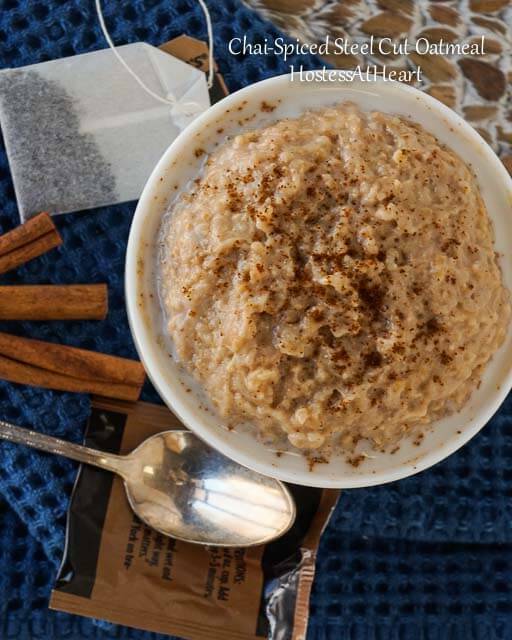 I love oatmeal almost every day too, and this one recipe made enough for 8 3/4 cup servings. Enough for almost 2 weeks. I’ve had it with peaches and raisins as well as nuts. Thank you for your sweet comments and for hosting us this weekend at FF! It really was. Thank you Elaine! Thank you so much Marisa! It’s getting to be “oatmeal season” here. I hope you enjoy it as much as I do. Thank you! It’s a great way to start my day. Thanks, Josette! Me too. I love food that makes you toasty when it’s cool outside. I will have to try it! I am an oatmeal girl for breakfast year round girl. I’d love to wake up to a warm cinnamon. hug. Thanks, Johanne! This stuff was so good. I’m an oatmeal girl too, and keeping it in the fridge makes me look forward to breakfast. This morning’s batch had raisins. Thanks Ana! My grandmother was the best. It’s funny how memories come up like that when I think of particular foods. I think some people are going to say give the bulgur a rest already! LOL. My batch made 9 3/4 cup servings and I put them in individual containers and just heated one up each morning. Half went in the freezer for another time.